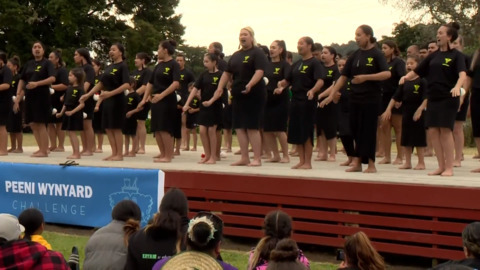 Family ties were strengthened this weekend as many flocked to Moerewa for one of the communities biggest occasions, the Peeni Wynyard Memorial Challenge. Shade Pihema's passion is youth and her focus is to engage youth in Moerewa positivity and through the youth centre. Māori forestry interests Northland-wide are seeking a high level strategy to retain more value and benefits in the region. This was the focus of a very important meeting in Moerewa today. Details under the Official Information Act reveal that the Commissioner appointed to Moerewa School last year has clocked up fees and expenses totalling $149,000 that Moerewa School must pay. A committee has been formed to address the needs of the Moerewa community following a recent night of terror with gunfire in the streets and a stabling alleged to be gang related. A clash involving the Rebels Motorcycle Club has spilled into the streets of Moerewa.